In two landmark decisions, Engel v. Vitale (1962) and Abington School District v. Schempp (1963), the US Supreme Court established what is now the current prohibition on state-sponsored prayer in schools. Following the catastrophe of September 11, 2001 an increasing number of California public school mandated students must attend an intensive three-week course on Islam. The purpose of the plan was to insure America would not have negative connotations about Islam. As children return to school this week, following the Christmas break, 7th graders in a growing number of public schools, who are not permitted to wear a cross or speak the name of Jesus, will be required to attend an intensive three week course on Islam; a course in which students are mandated to learn the tenets of Islam, study the important figures of the faith, wear a robe, adopt a Muslim name and stage their own Jihad. In Byron, California, parents were outraged when students came home with their handouts and were told what was being taught. 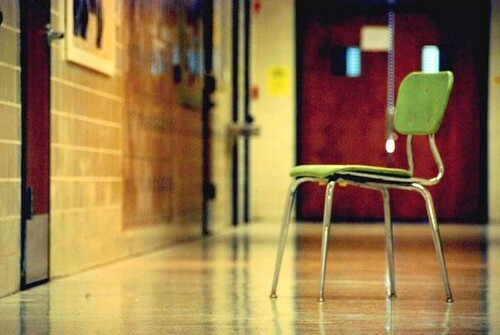 Their complaints to the school principal not only were ignored, but officials of this public school, funded by tax dollars, essentially fluffed them off. 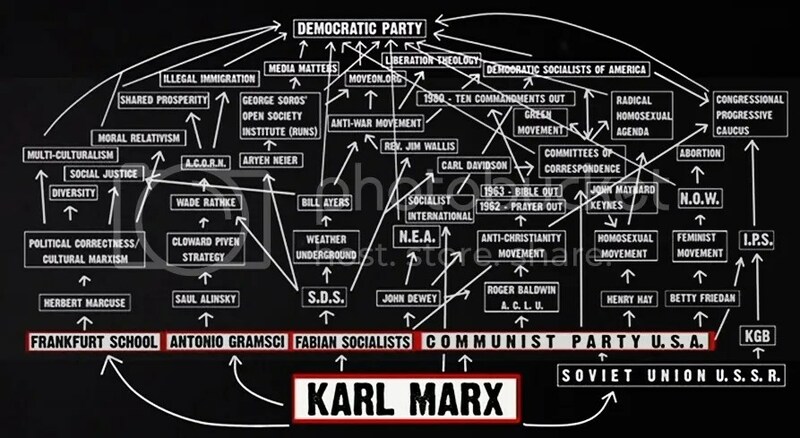 The public schools in California so stealthily slipped this course into the 7th grade curriculum that even another 7th grade teacher, Elizabeth Christina Lemings, was totally in the dark that this was being taught until her son, Joseph, who is a 7th grader in the same school where she teaches, brought home the handouts. On October 22, 2014, John Wood discovered that his daughter was being forced to repeat religious tenets of Islam as a part of her World History class assignment. She was required to write how the prophet Muhammad was visited by the angel Gabriel and preached that there is only one true god, who is Allah. The assignment made her write that Mohammad is the messenger of Allah and that the Quran is holy text. When John Wood petitioned La Plata High School in Maryland over the Islamic indoctrination of their 11th-grade daughter in her World History class, he was met with steadfast opposition. Wood’s conversation with a La Plata vice principal “indicated that his daughter, a high school junior with college hopes, would receive zeros on her assignments on Islam if she did not complete them.” Yes, his daughter has received a failing grade in her World History Class. Ron Wagner, a Florida father, said his son’s world history book has gone too far with a lesson that teaches Muhammad is the messenger of God. One part of the book, for instance, reads: “There is no god, but God. Muhammad is the messenger of God,” he said, quoting from his son’s Lyman High School history book, WFTV reported. The chapter in the history book is called the “Rise of Islam,” and includes text of the faith’s prayers and scriptures, right from the Koran, WFTV reported. Mr. Wagner also complained that the first 100 pages of the of the religious-based chapters that deal with Judaism and Christianity are missing — and the school district explains that omission by saying the defect, which impacted 68 books, is due to a manufacturer mistake, WFTV reported. Dr. William Saxton is the founder and chairman of Citizens for National Security, a nonprofit think tank biased in Boca Raton whose mission is to educate and activate U.S. citizens concerning the dangers of “homegrown” fundamentalist Islam, particularly the long tentacles of the Islamic Brotherhood. Saxton has a Harvard PhD in physics and a degree from MIT, and he’s worked as a consultant for NASA. Now he’s devoting himself full time, and without pay, to documenting what he sees as the pernicious effects of Islam in the U.S. In the article I reference some quotes by Sheik Abu Saqer, leader of Gaza’s Jihadia Salafiya Islamic outreach movement, which seeks to make secular Muslims more religious, and calls for holy war against the pope. He said Christian leaders such as Benedict are “afraid” because they realize Islam is Allah’s favorite religion and they are going to hell unless they convert. The Gaza preacher declared the “green flag of Muhammad” would soon be raised over the Vatican. The Gaza preacher said the pope and the Christian world are “panicking” because they realize “who is winning”. The ‘green flag of Muhammad’ is not atop the Vatican, but is beginning to wave proudly over the public school systems of the Untied States of America. As the ‘green flag of Muhammad’ continues to gain preeminence in America, the sound of Rachel’s weeping and lamentations of great mourning will only grow louder. May God have mercy on America for our rebellion. Ron Wagner, who said he admittedly doesn’t normally pay as much attention to his son’s school assignments as he should, just happened to read from his son’s world history book a statement which read, “There is no god, but God. 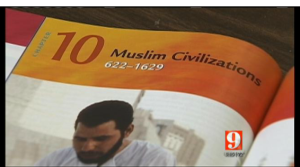 Muhammad is the messenger of God.” Wagner found out that his son is being indoctrinated in the religion of Islam in his 10th grade class from a history book used in school districts across the State of Florida. The statistics below are the (estimated) number of babies that have been murdered while safely nestled in their mothers womb. President Ronald Reagan issued a presidential proclamation on January 16, 1984, designating Sunday, Jan 22, 1984 as National Sanctity of Human Life Day noting that it was the 11th anniversary of Roe v. Wade, in which, the Supreme Court issued a ruling that guaranteed women access to abortion. President Reagan was a strong pro-life advocate who said that in Roe v. Wade, the Supreme Court, "Struck down our laws protecting the lives of unborn children." 1.) the events that took place at Sandy Hook Elementary school was an egregious event. Most would say that goes without saying! The reason I want to make this perfectly clear is that oft times when someone tells us the truth, we do not hear the truth, but our perceptions interpret what we want to hear. There is an old adage “we see things not as they are but as we are”. 2.) evil is alive and well, not only in America, but all over the world and for the most part society is ignorant to the true source of the problem. I wonder if Dr. Ablow considers ALL acts of “evil’ as being the results of “mental illness”? Now there are many like Dr. Ablow, that think it is more palatable to the human intellect to substitute the ‘acts of evil’ with ‘mental illness’. From the human perspective, mental illness requires one look no further than the flesh, and as long as we can see it and touch it, we can understand it. I contend the acts of evil run much deeper than mental illness, but just for the record, I am not psychiatrist. The first recorded murder in the Bible was that of Cain slaying his brother Able. I am thinking if Dr. Ablow would have lived in that day, he would have assessed this evil act, an would have surmised that Cain was mentally ill. My contention is the act of murder had nothing to do with mental illness, rather the content of Cain’s heart. It was wicked and the evil proceeded forthwith. Dr. Ablow would probably have stood on the same ‘mental illness’ platform to define the demonic force in the man from Gadara that Jesus encountered Luke 8:26-39. Here in lies the crux of the problem, human intellect often gives place to mental illness where the real culprit is a demonic influence. The problem is, society thinks we can control mental illness as long as we give the individual enough of the right medication to settle the beast within. Weeks following the events of what took place at Sandy Hook Elementary, facilitated debates from the most educated pundits of our society, (government leaders, doctors, lawyers and clergy from every religion) and not one, even remotely mentioned the demonic influence involved in the egregious act. Proverbs 16:4 says “The Lord hath made all things for himself; yea, even the wicked for the day of evil”. We can rest assured that nothing that happens, takes God by surprise, whether is is good or evil, even the things such as the killing of innocent children. There is a prophecy in the word of God by the mouth of His prophet Jeremiah 31:15 in which he prophesies concerning a voice of lamentation in Ramah, it is the voice of Rachel weeping for her children. Ramah was a city just North of Jerusalem which was used as an assembly point for those Jews that were taken captive by Nebuchadnezzar in 586 B.C. The prophecy came by the mouth of Jeremiah 9 years before the last deportation. Rachel was the mother of Joseph and Benjamin was seen as weeping over the exiles. This prophecy has a dual prophetic association. It is also associated with the slaughter of all the male children that were 2 years and younger at the decree of Herod when the Christ Child was born… Matthew 2. We are not told the specific number of children that were slaughtered but the massacre did not take God by surprise. Almost 600 years before Herod’s decree, God spoke it through His prophet Jeremiah. The voice of mother’s all across Ramah were weeping for their children that were being slaughtered at the hand of King Herod’s decree. Now if God is aware of these type of forthcoming event and could stop it, but does not intervene, one can only surmise that God allows it for a reason. The Columbine High School massacre was a school shooting that occurred on April 20, 1999, at Columbine High School in Columbine, an unincorporated area of Jefferson County in the state of Colorado. One of the 12 students that were killed that day was a girl name Rachel Joy Scott. On May 27, 1999, before the Congressional sub-committee on crime, Darrell Scott, the father of Rachel read this poem that he had written after his daughters death. ISLAMABAD, Pakistan — The bloody siege of an elite army high school Tuesday, December 16, 2014 by Taliban gunmen, which killed at least 141 students and teachers, was an apparent retaliation for a major recent army operation after years of ambivalent policies toward the homegrown Islamist militants. If we tally the three instances that have been mentioned in this post, it includes 180 souls which were both children and teachers. The comment from the Washington Post echoes the public out cry of not only what took place in Islamabad, Pakistan, but Sandy Hook and Columbine alike, while there remains a deafening silence for the innocent souls that are being slaughtered in their mother’s womb. I Wonder if Dr. Ablow sees the abortion industry as the by-product of ‘mental illness’ or even ‘evil’ at all? God have mercy on America and it’s leaders that have murdered 57 million innocent children.